A signboard in KR Nagar of Mysuru district that points the way to St Anthony’s Shrine at Dornahalli describes it as ‘world famous’. While that may be an exaggeration, the church is certainly a sought-after destination. 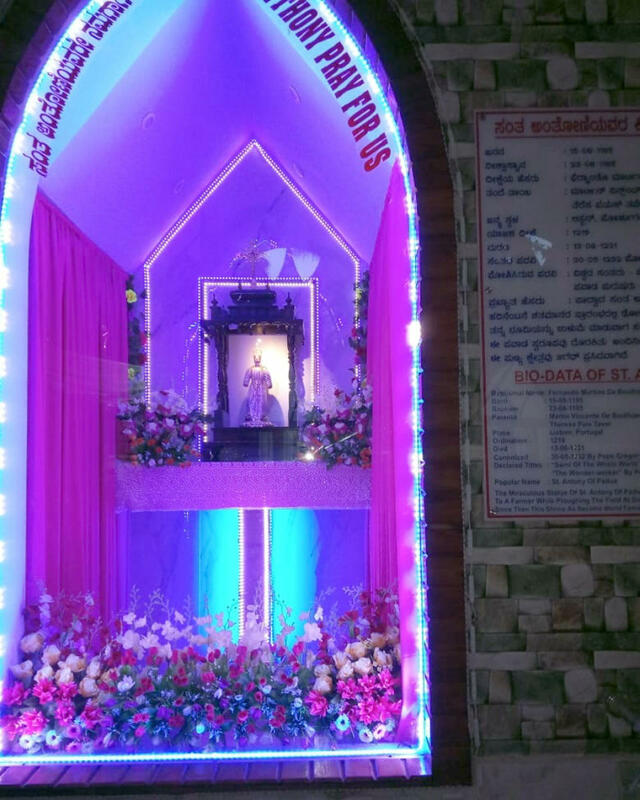 People from all over Karnataka and neighbouring states assemble there in large numbers, especially on June 13, which is the feast day of St Anthony and an occasion for annual celebration. In addition, every Tuesday is reserved for special worship. It was on a Tuesday that St Anthony breathed his last, in 1231, in Camposampiero, near Padua in Northern Italy. That part of the country has always been associated with him, and he is known as ‘Anthony of Padua’. He is also called Anthony of Lisbon, since he was born and raised in Portugal. What connection does this pious personage, from a distant time and different continent, have with our country? The story goes that, over two centuries ago, a farmer was ploughing his field in Dornahalli, when he came across a wooden idol. It had evidently been in the soil for many years but was in fairly good condition, except that it had no hands. The farmer gave it to his children as a plaything. Soon after, he had a dream in which a man dressed in the costume of the idol informed him that what he had found was the miniature model of a renowned saint. He was instructed to enclose it in a sacred spot but neglected to do so. Several mishaps befell him until, acting on the advice of a Catholic priest (who recognised the idol as the statue of St Anthony), the farmer built a house of prayer in honour of the saint. 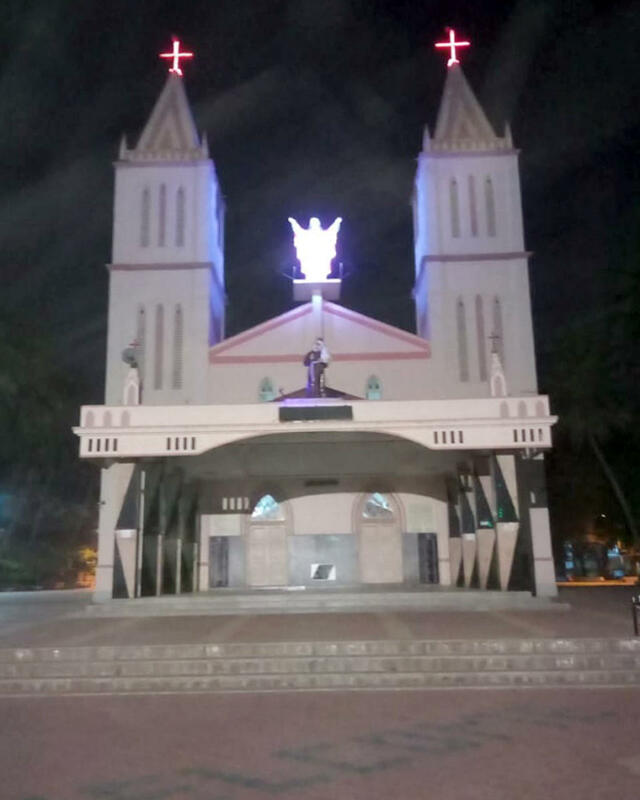 Later, a large church was erected near this site, followed by yet another in 1920 under the auspices of T Dharmaraj Chetty. When the latter developed cracks, it was rebuilt, without damaging the former facade. Consecrated by the then Bishop of Mysore on 13 June, 1969, the present church stands immediately behind that renovated edifice. It can accommodate a congregation of one thousand, and services are regularly held in both this sanctuary and the adjoining one. 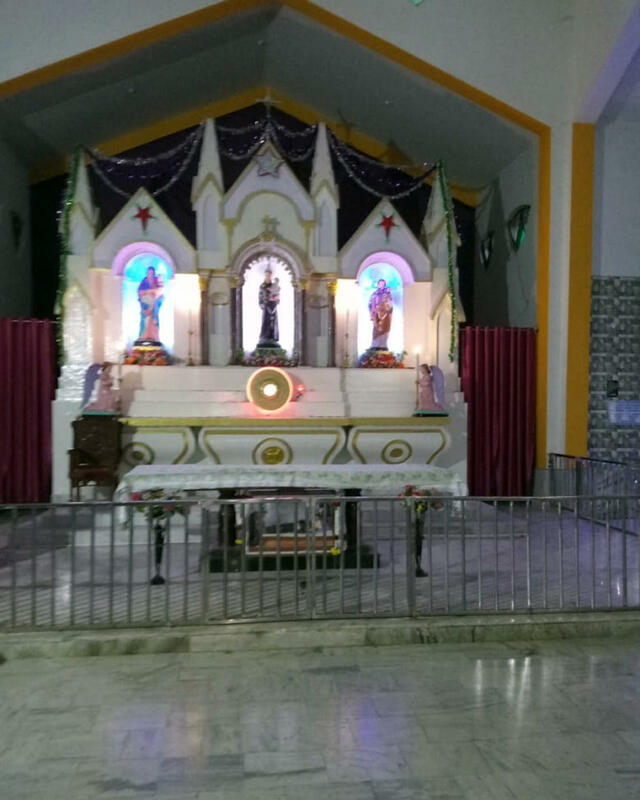 In 1977, a benefactor from Mangaluru, Chandappa Shetty constructed a small church-like structure on the exact location of the farmer’s original shrine, which is located within the main church premises. The exterior of this circular building is adorned with paintings of Christ. Going right around the interior are colourful bas-reliefs that represent events in the life of St Anthony. 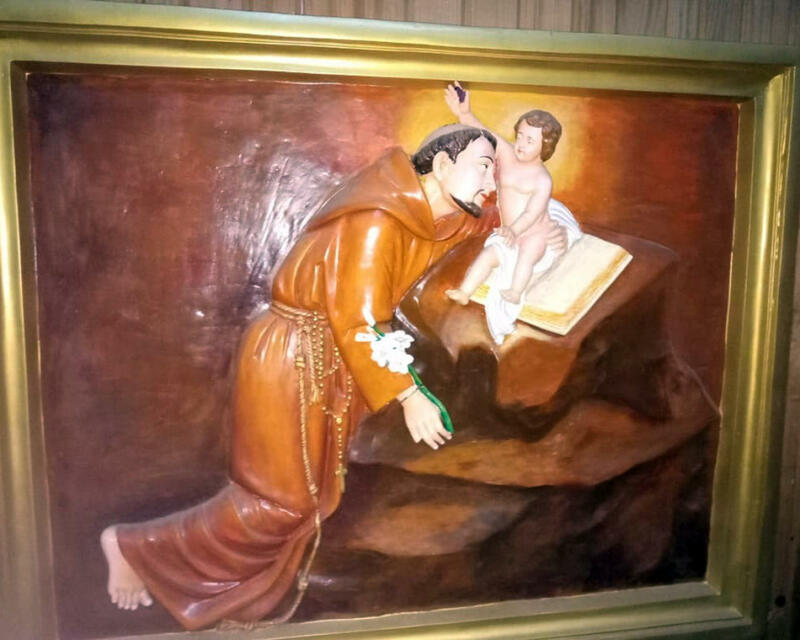 The one depicting the saint with an infant is based on an incident that is said to have occurred when St Anthony was a guest at someone’s home. His host saw the saint kneeling and baby Jesus reaching out to him. Life-sized figures of the farmer and his bullocks, in the centre of the room, remind us of the discovery of the idol. That 13-inch image is preserved in an altar enclosed with glass, and on special days set on the heads of devotees beseeching blessings. St Anthony, who is referred to as a ‘Wonder Worker’, is believed to be a performer of miracles in various ways. For instance, he is attributed with the divine power of finding the lost objects. Of course, the supplicants who throng to the shrine also implore the saint’s intervention for protection against danger and disease. For those who wish to visit the shrine and spend a few days at Dornahalli, accommodations are available within the premises of the shrine at reasonable prices. The church wakes the devotees with Kannada hymns waving out of the speakers. The church is ably assisted by its parish priest, Rev Dr Arogya Swamy, who is welcoming and ever-ready to assist the pilgrims from across the country and abroad.